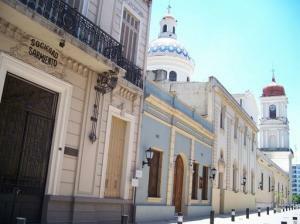 San Miguel de Tucumán, often just referred to as Tucumán, was founded in 1571 by the Spanish. The city was an important agricultural center in colonial times and has remained an important player in Argentina’s history. Argentina’s Independence was signed in Tucumán on July 9, 1816, after the war led by General Jose de San Martín against the Spanish. The city is one of the best destinations to see colonial and historical buildings, a testament to the events that led to the independence of Argentina from colonial rule. Today, Tucumán is a vibrant, sophisticated city, whose architecture, park and shopping streets make it well worth spending some time before heading off to the several excursions it serves as a starting point for, or on your way to Salta. It’s an ideal place to just go for a stroll – it seems that every few blocks, you run into an architectural gem! San Miguel de Tucumán is the capital of the Tucumán province, often a first stop on the way further north to Salta, Jujuy or the Quebrada de Humahuaca. The province itself is fairly small, with some low mountains to the west that hide very picturesque villages, and desert plains to the east. 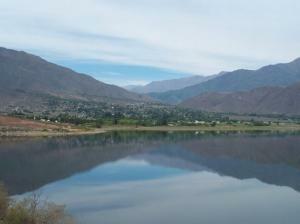 The province is surrounded by the larger provinces of Catamarca, Salta, and Santiago del Estero. A direct bus from Buenos Aires takes around 16 hours, a direct flight less than two hours. If you’re coming from Salta, you’re only four hours away, and from Córdoba you should count on an eight hour trip. This page rendered in 0.82 seconds.